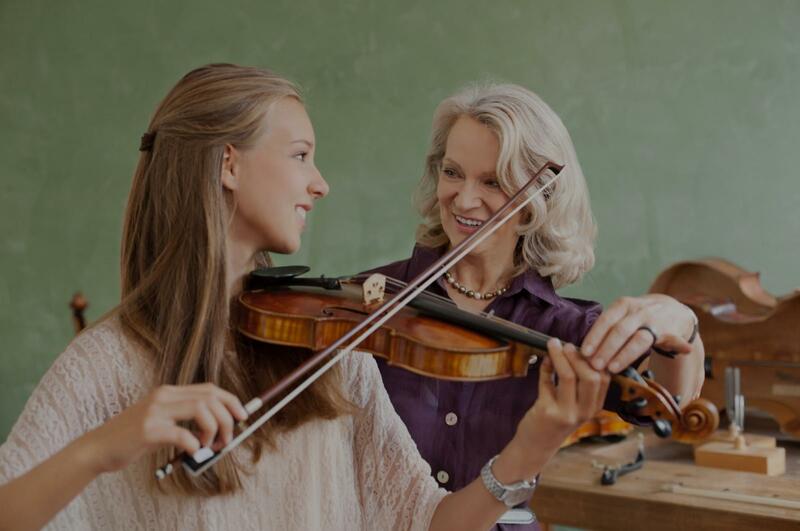 Find the perfect teacher or instructor in Greater Griffith Park for private violin lessons in your home or in their studio. Check out some of our most popular teachers near Greater Griffith Park including Long Beach, Irvine, Glendale, Burbank and Pasadena. Hello future students! I've been playing violin for 20 of my 25 years of age and teaching for 8 years. I believe that the most important part of learning the violin is having fun and building a passion for music. In my lessons we will focus on proper violin technique, music theory and most importantly (and fun!) practical application. In practical application, the student chooses what he/she would like to work on, whether it be Mozart or The Chainsmokers or the Moana score, and we learn it together! I am also proficient in music production/engineering which means that my students can professionally record themselves in my home studio. believe the most important part of any teaching plan is molding it to fit the student’s needs, so the following methods are entirely flexible. For technique, we start with simple scales to work on bowing and intonation. When this becomes easy for the student, we move on to more complex key signatures and minor scales, eventually moving into 2 octaves and learning the left hand positions. For intermediate students who want to excel in classical music, we will work on etudes as well as scales. I teach music theory as it applies to what the student is currently playing so as not to cause confusion. For example, if the student is learning to play a new piece with a more complex rhythm, we will go over time signatures, how many beats each note gets and so on. I always make flashcards for students so they can “practice” music theory when I’m not there, especially for students who are just learning to read music. In practical application, the student can apply what they learn about technique and music theory to a fun song. I start with the Suzuki books because I like the way they’re structured in terms of technique, and because I love the repertoire. Suzuki books generally come with a CD containing piano accompaniment tracks, which I’ve found students love to play with. Finally, I let the student pick a song of their choice and we learn it together. If the student isn’t enjoying Suzuki, we focus more on the student’s song of choice. I LOVE JACKIE! She is my favorite violin teacher to date - I’m currently in college so I don’t have a ton of time to practice but she’s totally understanding and caters to my needs. Go Jackie! You’re the best! ntinue to take Nick classes. Although I started late with this passion, Nick has made the journey stress free." I began taking violin lessons with her." tionally patient with her and adapts to her aptitude level. We love what she's been able to learn in such a short amount of time thanks to Tigran." d explains all her lessons in a way that I can understand perfectly. Marta is highly dedicated and devoted to her students, overall I am more than satisfied with her lessons and effort." work with my skill level. I also took Russian with him, I highly recommend both." e is very encouraging, patient, and her passion for music and teaching really shines through. We would highly recommend her for anyone wanting violin lessons at any age or playing level!" Los Angeles, CA teacher: Connie E.